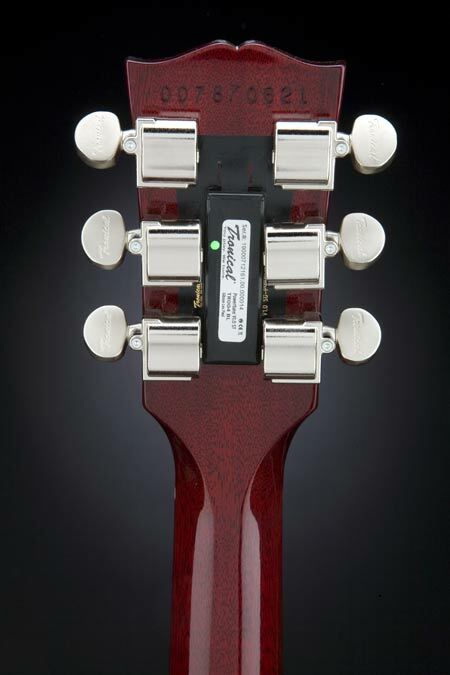 This image shows the "Tronical" tuner system, mounted on the head of a Gibson Les Paul. 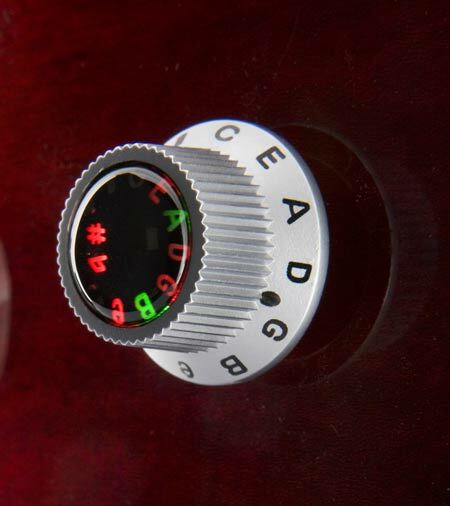 The pegs' tiny motors are controlled by instructions sent from electronics in the body of the guitar; the strings themselves are used as communication wires. Watch a video demo. Ew. I guess I've somehow become some sort of a "guitar purist" (their words in the article) by osmosis because the idea of a self-tuning guitar truly irritates me. Yes, tuning is annoying and when you're half way through a song and realise your G is slightly out (G strings are the Achilles heel of almost all Gibsons BTW) it can be quite traumatic; especially as you anticipate how you'll artfully avoid hitting that sour G when the big rock chorus arrives which requires you to play octave chords the whole time, or as we call them "Sonic Youth chords". Other than that, what will you do in between songs? It'll be pretty boring. After a song or a few songs are done (we normally do Ramones-esque 3-song rock blocks) I know I'll have to mute my axe and get to work fine tuning my coils for the next set of tunes. If I had one of these state-of-the-art self-tuning guitars, what ever would I do with my down time? Just stand there and throw kisses to the crowd? If this guitar can sense that my strings are out of tune WHILE I'm playing, then I'm all for it. But just hitting a button or flipping a switch and watching as my guitar robotically tunes itself is just too far removed from Woody G. and Bobby D. for me to really appreciate. It just seems weird; like a useless gadget that seemed amazing at the time; like the wipers on the headlights of my car; which were also designed by Germans who came up with this Tronical tuner system.